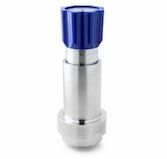 our subsea pressure regulators allow pressure reduction close to the point of control, thereby allowing quicker response times within subsea systems. 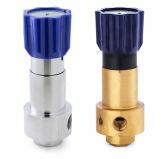 With requirements to go to deeper water depths ever increasing, Pressure Tech’s design team have developed a regulator with the modifications crucial for using a product under great pressure - this enables use down to depths of 3,000m (10,000ft). We have also recently released a new compact electric actuator which has been designed for use on our subsea regulators for applications that would benefit from remote access. With a fully closed loop servo motion system for controlled precision and a brushless 24V DC motor, it is the perfect solution for topside applications on unmanned platforms. 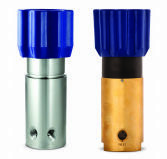 Our two standard subsea pressure regulators - the SS414 and SS690 - cover various pressure and flow conditions. We have also worked with customers to provide individual designs to meets specific requirements. 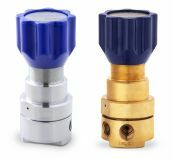 A low-flow hydraulic reducing pressure regulator with ceramic seating and fully supported main valve for water glycol applications and systems. The SS690 is a modified version of our LF690 with referenced spring chamber and self-venting design which would typically vent to the external seawater or a return line back to the surface. A medium-flow piston sensed subsea pressure regulator, which incorporates a balanced main valve to provide stable control under varying inlet pressures. The SS414 is a modified version of our MF414 with a non-venting design and sealed spring chamber - this means that the pressure which is set topside is maintained subsea, irrespective of the depth or seawater pressure. - 'Electrically-Actuated Subsea Pressure Regulators' flyer -click here to view.